The 'gig economy' refers to businesses that rely on self-employed earners, insecure workers or 'zero-hour contracts'. A study has suggested that the high proportion of workers employed in this fashion is negatively impacting the economy. The Taylor Review highlighted the need for new guidelines for taxing these individuals and their businesses. The rise of the gig economy has resulted in an estimated 4.8 million self-employed people in the UK. Research from the Trades Union Congress (TUC) has revealed a potential £4bn a year loss in benefit payouts and tax income. The 'gig economy' refers to businesses that rely on self-employed earners, insecure workers or 'zero-hour contracts' that generate less tax and national insurance requirements than traditional full or part-time employment regulations. The rise of companies like Uber, Deliveroo and Etsy have made these options more readily available to the wider public and, as such, the gig economy has grown exponentially over the past decade. Zero-hours contracts and low-paid self-employment are costing the economy billions every year. An analysis by Landman Economics for the TUC has suggested that as many as one in 10 UK workers are engaged in 'precarious' work of this kind. The likelihood of relatively low income in addition to the impact of NIC and tax limitations means these individuals are potentially costing the economy more than £75m a week. TUC General Secretary Frances O’Grady told The Guardian: “The huge rise in insecure work isn’t just bad for workers. It’s punching a massive hole in the public finances too. 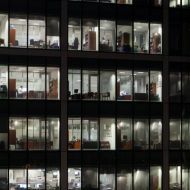 The Taylor Review, a government-backed analysis of modern employment practices, was released last month to clarify the definition of an 'employee' in employment laws, rights for the self-employed and new possible regulations for zero-hour contracts. There needs to be wide consultation and discussion on the way forward for tax in the world of work. Colin Ben-Nathan, Tax Partner at KPMG UK, commented: “The key takeaway from the Review from a tax perspective is the acknowledgement that there is a real need for consistency in the taxation of work across the board in particular with regards to levelling out tax for the self-employed and employed. A key recommendation in the review is that for tax purposes, being employed means being either an employee or a 'dependent contractor'. “Another of the recommendations contained in the Review is that the Government should consider accrediting a range of platforms designed to support the move towards more cashless transactions thereby supporting individuals to pay the right tax. "This also chimes with the Government’s aim for Making Tax Digital and the use of third party information so it is perhaps not difficult to imagine a future where cashless platforms report data directly to taxpayer’s accounting software and direct to HMRC for pre-population of Digital Tax Accounts. Studying Principles of Tax? Check out Module 3 (Tax-adjusted trading profits), and in particular, the section on 'Badges of Trade', and Module 6 (PAYE and NIC) to see how this relates to the gig economy! Who are the zombie firms?